The Brentwood Golf Range, Brentwood, Essex is part of Brentwood Leisure Park and is the home of the UK Golf Academy. The driving range employs PGA Professionals with 40 years’ experience and was looking to complete a thorough revamp of their site to offer a top quality practice facility providing a modern, environmentally friendly golf range that is ahead of the competition. With Brentwood’s motto of “our aim is your game,” they continue to strive to help their customers improve their golfing techniques. 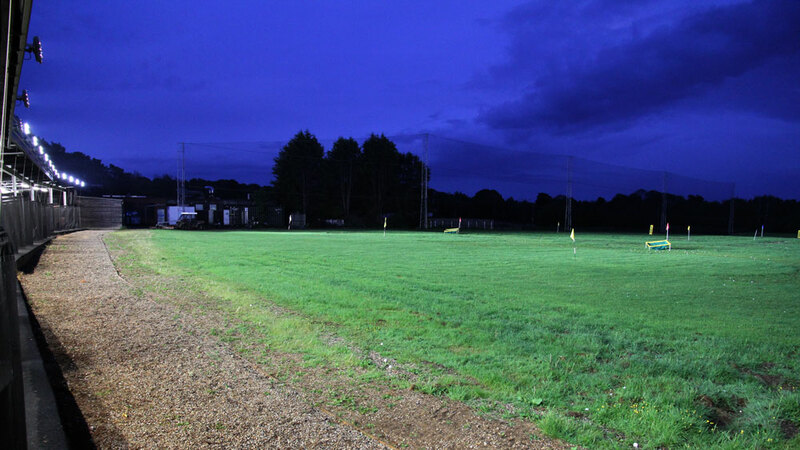 The driving range’s current lighting was not bright enough and customers had complained of the poor light levels that were resulting in reduced visibility and that they could not easily track the flight of their ball during the early evening opening hours. With the driving range benefiting from a complete revamp to achieve the high expectations for the practice facility, the lighting needed to reflect these impressive planned changes that were improving the rest of the facility. 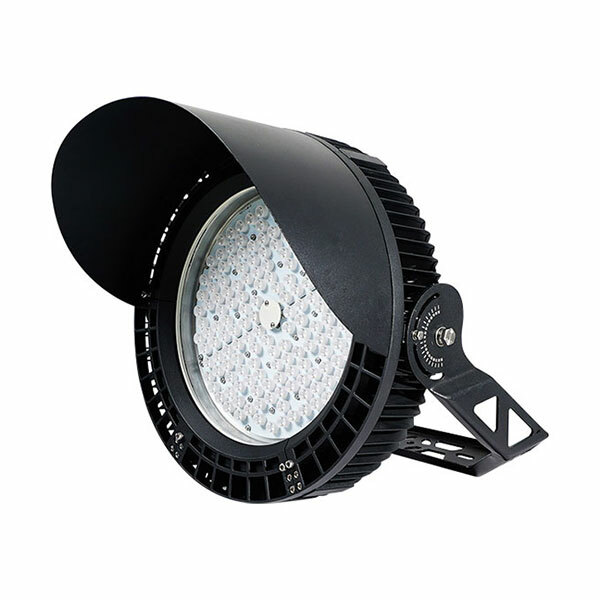 Exled’s Titan Sports 300Watt LED Golf Floodlights were chosen due to their high brightness, excellent build quality, stylish design and long life. 19 Titan Sports LED Floodlights were installed to light up the driving range so that the full 300 yards of the range is fully illuminated during the now extended evening opening hours of between 4 pm until 10 pm.The Titan offers ultra-bright floodlighting with an exceptional output of 26,800 lumens from only a 300 Watt lamp, weighing 4.8 Kilograms and also benefits from a 3 year warranty. The Titan increases visual clarity with its cool white light and works well for demanding exterior sporting facilities. The target for the refurbishment for Brentwood Golf Range was to make it a safer and more spacious, high quality driving range, providing better usability for golfers – from the junior to the established senior golfer. The range has been fully refurbished from top to bottom, including a new roof and luxurious rubber flooring and has further plans to include an Astroturf putting green. Exled’s Titan Sports Floodlight has improved lighting levels which have helped promote the fantastic ambience of the new improved range and have aided the goal of making it more user-friendly along with bringing it up-to-date and becoming a state of the art modern luxury golf driving range that provides a quality service to the community.